The sapphire rockcress, Arabis fecunda, is a rare perennial herb restricted to calcareous soil outcrops in western Montana (USA) - so rare, in fact, that there are just 19 existing populations separated into two groups ('high elevation' and 'low elevation') by a distance of around 100 km. Whether there is local adaptation is of practical importance for conservation: four of the low elevation populations are under threat from spreading urban areas and may require reintroduction from elsewhere if they are to be sustained. Reintroduction may fail if local adaptation is too marked. Observing plants in their own habitats and checking for differences between them would not tell us if there was local adaptation in the evolutionary sense. Differences may simply be the result of immediate responses to contrasting environments made by plants that are essentially the same. 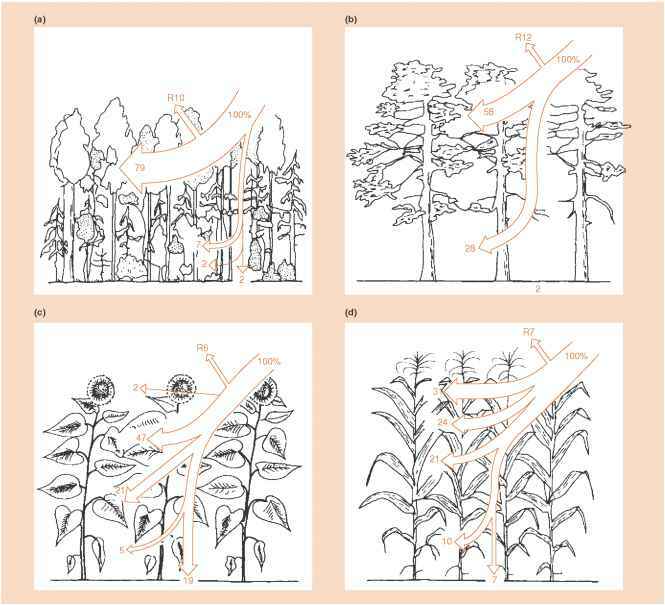 Hence, high and low elevation plants were grown together in a 'common garden', eliminating any influence of contrasting immediate environments (McKay et al., 2001). The low elevation sites were more prone to drought; both the air and the soil were warmer and drier. The low elevation plants in the common garden were indeed significantly more drought tolerant (Figure 1.2). On the other hand, local selection by no means always overrides hybridization. For example, in a study of Chamaecrista fasciculata, an annual legume from disturbed habitats in eastern North America, plants were grown in a common garden that were derived from the 'home' site or were transplanted from distances of 0.1, 1, 10, 100, 1000 and 2000 km (Galloway & Fenster, 2000). The study was replicated three times: in Kansas, Maryland and northern Illinois. Five characteristics were measured: germination, survival, vegetative biomass, fruit production and the number of fruit produced per seed planted. But for all characters in all replicates there was little or no evidence for local adaptation except at the very furthest spatial scales (e.g. Figure 1.3). There is 'local adaptation' - but it's clearly not that local. 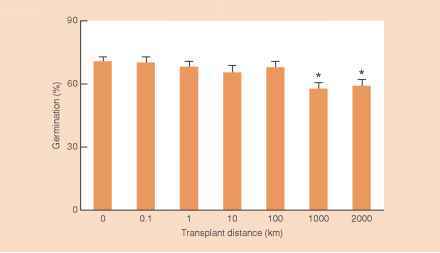 We can also test whether organisms have evolved to become specialized to life in their local environment in reciprocal transplant experiments: comparing their performance when they are grown 'at home' (i.e. in their original habitat) with their performance 'away' (i.e. in the habitat of others). One such experiment (concerning white clover) is described in the next section.